I simply love: ...candy corn! That's not true. I hate candy corn. 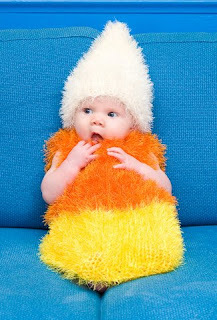 But I do like cute babes dressed up as candy corn. Happy Halloween!